"Pictures from the sampling day, when we were doing soil gas measurements, give an impression of how demanding the simultaneous measurement of 64 points can be,” said Sebastian Weller, one of the students involved in the project. Data was gathered from 64 plots, each measuring 1.4 square meters. Nearly 1,300 analyses will be made from the entire collection of field data. "We lost a lot of sweat after a hot day in the field, but gained insight into one another's work and the possibility for knowledge exchange and sharing of experiences,” said David Kraus, also a student. As soon as analyses are complete, the students will publish their results to include those of other participating research groups. 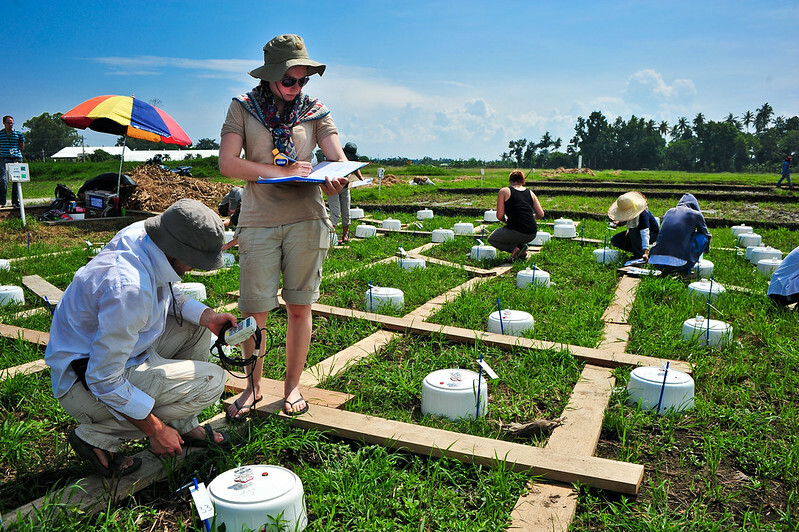 The ICON project is supported by the German Research Foundation (DFG) and involves five German research facilities and IRRI. 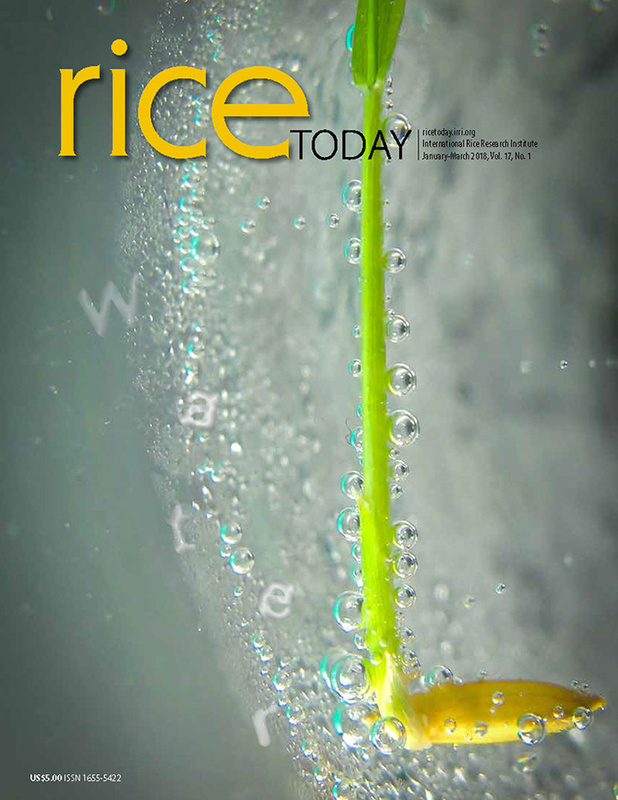 ICON aims primarily to explore the ecological consequences of future changes in rice production in Southeast Asia by looking at shifts in flooding regimes (flooded vs. non-flooded), crop diversification (wet rice vs. dry rice vs. maize) and various crop management strategies, such as nitrogen fertilizer use.